1. Rice Farming – Nigeria has one of the world’s highest Rice consumption stat. Rice is by far one of the most popular staple food among Nigerians, almost every family eats rice daily in Nigeria. In 2011 alone, Nigeria spent N991 Billion on Rice importation and the rice we import is said to be nothing less than 10 years old in storage. That means we spends billions buying Rice that has since lost it’s nutritional values. Any entrepreneur in Nigeria who goes into Rice Farming and get it right is sure to be smiling to the bank. A bag of Rice is currently sold for N8,000 to N10,000 depending on the quality. A farmer who is able to invest in large scale Rice Farming in Nigeria and produced 100,000 Bags of processed Rice in a year, sell at wholesale price of about N7,000 per bag, he will be making 7,000 x 100,000 = N700,000,000 ($5.5 Million) You can achieve the above figures conveniently with less than Two hundred million Naira ($1.3 Million) capital investment! I’m currently looking for who to partner with in this. If you have the cash, I have the logistics and good plannings to achieve that. Serious investors only! 2. Cassava Farming -The popularity of cassava as the major source of food for Nigerians dates back to ages. Between Garri and Rice, it’s hard to tell which one is the most popular as both are the most consumed food staples among the citizens — I think if one is the King the other should be the Queen. A bag of Garri costs almost the same as a bag of rice, and apart from garri, there are tens of other food stuffs that are processed from Cassava in Nigeria. The introduction of the high yield species of Cassava has made it possible for Nigerian Cassava Farmers to produce more Cassava per plot. 3. Plantain Plantation – One thing I like about Plantain is that when planted once, it keeps producing year in year out for eternity. Like Rice and Garri, Plantain is widely consumed in Nigeria and you know — any food that is popular in Nigeria is always a huge income earner due to the population of the country. I really haven’t seen Farmers in Nigeria taking advantage of the opportunity in Plantain Farming to create wealth for themselves. Plantain is highly priced in Nigeria and is always in high demand all year round. Fry it, Boil it, Roast it — it will never get angry with you, that’s how liberal Plantain is. 4. Poultry Farming – Everyone knows how ‘Cashy’ this one is, it doesn’t need much introduction and yet it’s still not fully tapped. What we currently have are few badly managed, scantily equipped poultry farms here and there. I’m yet to see a full fledged, high tech Poultry Farm as it is in The USA and Europe except Obasanjo’s Farm which I don’t think is currently in serious business. Any serious entrepreneur who is able to fire this up will have huge profit to contend with. The reason is because Nigerians eat chicken more than snakes do and 70% of our consumption still based on importation. The egg is yet another goldmine! 5. Pineapple Farming – Money is sweet, everything sweet is money, and Pineapple is sweet. Ask any Australian Farmer and he will tell you how huge the income in Pineapple Farming is in their country. Any juice maker that doesn’t have Pineapple flavor variety in his product line is not yet in business. That tells you how popular Pineapple is, not only in Nigeria but Worldwide. 6. Beans Farming – A bag of Beans costs twice more than a bag of Rice and garri the Northern Nigerians are making it big in Beans Farming, supplying almost all over Nigeria and beyond. 7. Catfish Farming – Catfish Business is really hyping in Nigeria right now but how many are really getting it right? Get it right and you’re in money. A single Catfish sells for N700 in Restaurants and about N400 in open market. 8. Goat Rearing – It’s only in the North that goat is reared in commercial quantity. I don’t know why we are so looking down on Farming Investment in the South even though there are millions to be made in this business. Why would you chose to sell used shoes in Oshodi and make few thousands of Naira yearly than to engage in productive Farm Business and make millions of Naira? In The USA and Australia, Farmers are among the Richest people – Get involved in professional goat rearing and make money for yourself. 9. Snail Farming – I see Snail Farming really picking up in Nigeria very soon — but if you don’t hurry up, others would have made the money before you realize what you are missing. 10. Maize Farming – You never know the profit in Maize Farming in Nigeria until you try it, and one thing I like about it is that everything happens fast. It takes less than Four months between planting and harvesting. Stand up. Get involved in any of these Farming and you will never regret it. 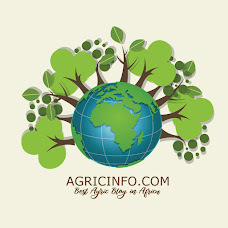 Drop us a comment if you are in support of Farming Business in Nigeria! Saw your write up on nairaland.com. I must confess your figures are very misleading to say the least. Farming is no joke. The resources involved is no tea party matter. 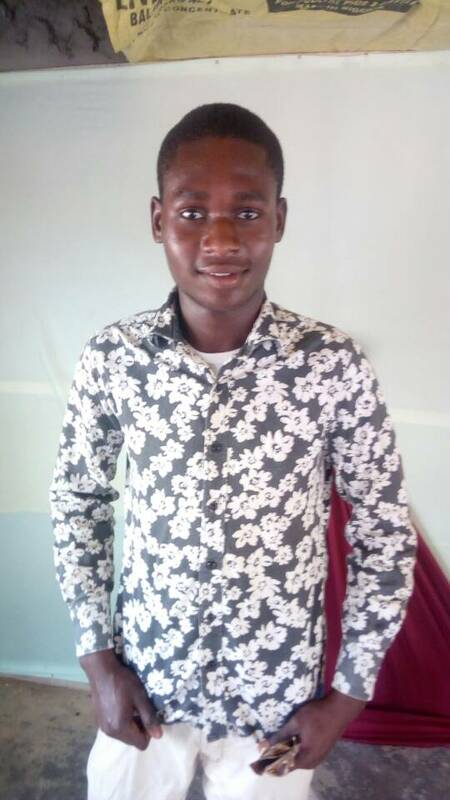 I have worked on an over 1,500 ha palm plantation, I have consulted for a rice farm in the north and i currently manage and run a market intelligence platform (+ mobile app yet to go live In partnership with GEM of ukaid).I am a cocoa +cashew farmer myself and also part of team on a firm engaged in poultry farming, plantain farming , cat fish ,poultry feed mill and cassava cultivation. I am very familiar with raising funds and managing funds as well. With no support whatsoever from the govt,farming in these times is not for the faint at heart...I see a lot of people ignorantly depend and console their timidity with silly numbers ...with little or idea when in comes to funding , securing land , farm inputs , manpower , over heads , setting up mgt structures etc of farming ....well, u efforlesly Into that category of persons, hence I am not surprised neither am I impressed at your lack of cogent knowledge in the agro business arena + her value chain...any oblivious fella can run numbers . I will suggest to do more in the area of research and possibly justify your claims coming froma real farming experience as opposed to this your virtual + imaginery farm.And to expect an investor to give you his kobo, please get real.